Shock your friends and family and carry an everlasting grin all over by requesting this yummy heart-formed strawberry from Myfloralkart.com online now. This yummy 1kg heart-molded strawberry cake is mouth-watering. Give an incredible treat to somebody extraordinary with this item. " . 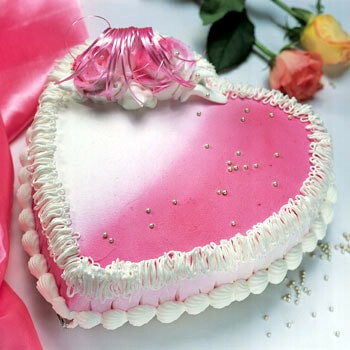 It would be ideal if you note : Cake plan n looks may vary depending upon local availability ,1 KG Heart shape strawberry Cake.